Exercises to help your clients strengthen their core muscles. As a provider of elderly home care services, you may find that your clients are becoming unstable and lose their balance easier. 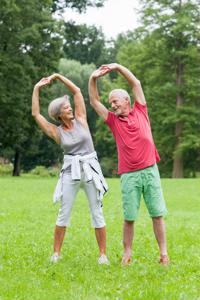 While this is a part of growing older, there are exercises you can have your clients do that will strengthen their core and help with balance. By strengthening their core, or abdominal muscles, clients can help give their back more support. This will also help to reduce chronic pack pain.